The state Senate will reconvene on Monday, February 4th at the State Capitol. The Senate’s Legislative Calendar is updated each day the Senate is in Session. The calendar identifies bills and resolutions awaiting Senate floor actions. To preview the meetings and hearings, visit online. 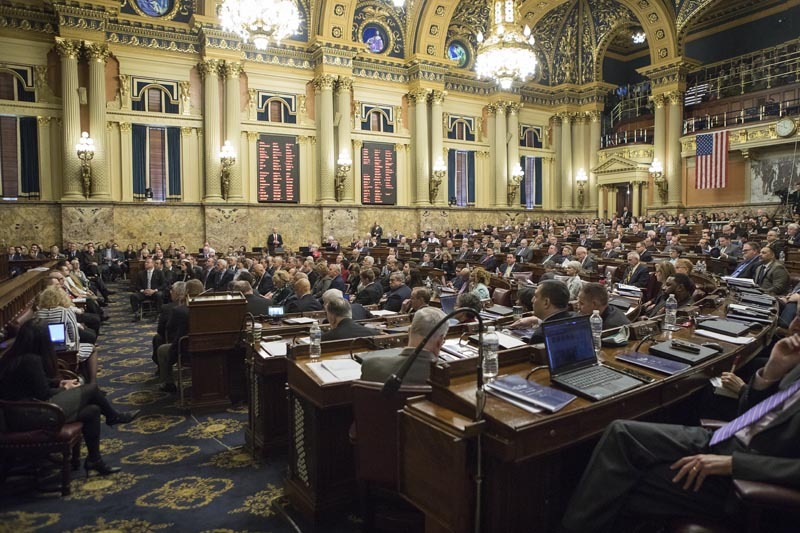 On Tuesday, Governor Tom Wolf will unveil his 2019-2020 spending plan before a joint session of the Pennsylvania General Assembly. The Governor is expected to promote his Restore Pennsylvania Infrastructure Plan, which will impose a severance tax on Marcellus shale natural gas production to finance a multibillion-dollar capital plan for a wide range of projects. Effective March 1st, I have been elected to serve as Chairman of the Pennsylvania Chesapeake Bay Commission delegation. I thank my fellow delegation members, and outgoing Chair Sen. Rich Alloway, for the opportunity to serve in this capacity. As a tri-state legislative assembly representing Maryland, Virginia and Pennsylvania, the Commission is a policy leader in the restoration of the Chesapeake Bay. Right now, we are especially focused on reducing the nitrogen, phosphorus and sediment, the three key sources of Bay impairment, from our local waterways. For more information on Pennsylvania’s Chesapeake Bay Plan, click here. Nine bipartisan election reform measures that include three constitutional amendments relating to absentee ballots, poll workers, and judicial retention elections were proposed this week in the State Capitol. The package, which was drafted after public hearings, workgroup meetings, and many discussions with county election officials and commissioners across the Commonwealth from both sides of the political aisle, will also include legislation addressing a permanent early voting list; vote centers and curbside voting; number of votes to qualify as a write-in winner; number of ballots to be printed, and consolidation of smaller precincts. To view the press conference, click here. Legislation to ensure that public employees or public officials who commit job-related felonies are stripped of their taxpayer-funded pension was approved Tuesday by the Senate Finance Committee in a unanimous, bipartisan vote. This legislation, Senate Bill 113, closes the loophole used by unscrupulous public officials whereby they plead guilty to non-forfeiture crimes so they can keep a pension. On Wednesday, Rep. Tina Pickett and I announced two local projects were awarded low-interest loans by the Pennsylvania Infrastructure Investment Authority (PENNVEST). PENNVEST awarded a $4,736,700 loan for the Towanda Municipal Authority’s Water System Improvement Project and a $394,775 loan for Laporte Borough’s Water Meter Installation Project. To read more, click here. To read more, click here. 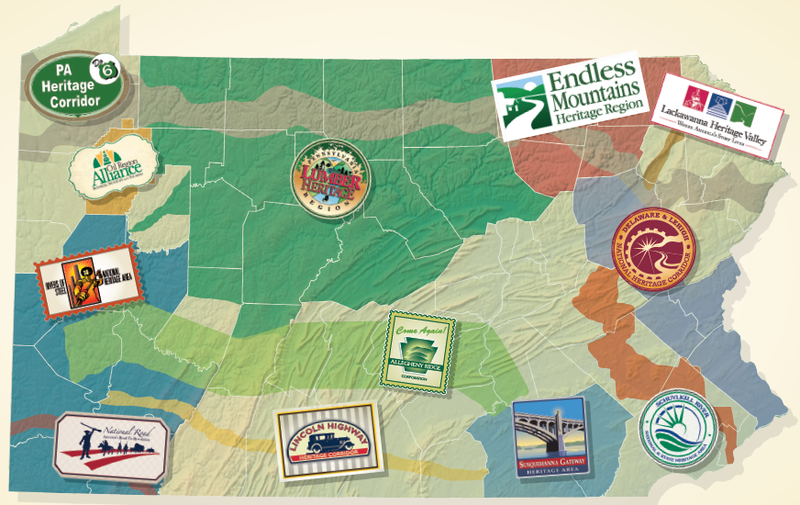 Stretching across Bradford, Sullivan, Susquehanna, and Wyoming counties, the Endless Mountains Heritage Region (EMHR) is a non-profit organization determined to preserve and promote the mountainous beauty of rural Northeast Pennsylvania. The program provides recreation and tourism activities that seek to explore the culture and heritage of the region. The area in which the Heritage PA program operates has seen such benefits as environmental restoration, the attraction of business and industry, and several other positive changes to the community. And, since the agency’s formation in 1998, it has provided grants to over 100 environmentally-minded projects and organizations. These actions have led to the further fulfillment of the EMHR’s vision to simultaneously enhance the prosperity of local businesses, communities, and the surrounding scenic landscape. If you are interested in participating in, contributing to, or learning more about the mission of the EMHR, you can visit their official website here. On Tuesday, the Senate State Government Committee, approved Senate Bill 9, which I sponsored, designating the Eastern Hellbender as the first “State Amphibian” of Pennsylvania. CBF’s Pennsylvania Student Leadership Council, consisting of high school students, invested many hours studying the Eastern Hellbender and the problems the amphibian is facing within the state. 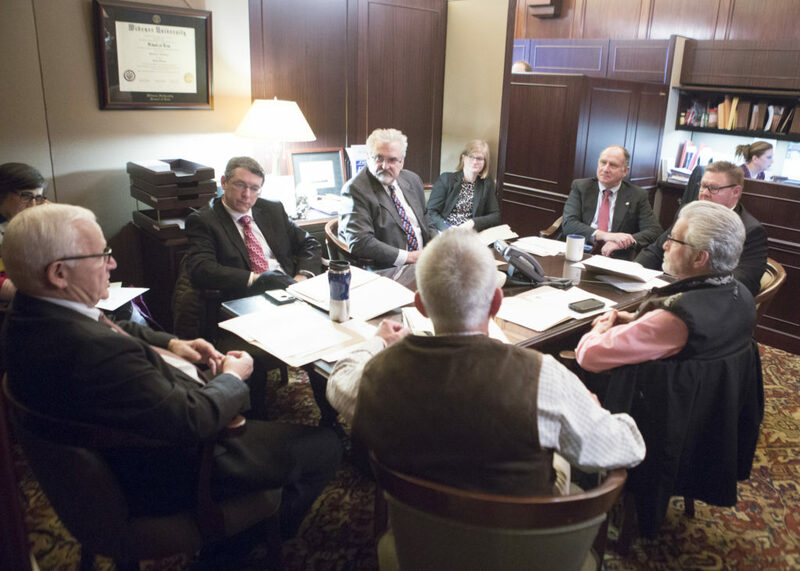 With assistance from Lycoming College in Williamsport, the students drafted the legislation during the 2017-2018 Legislative Session, meeting with elected officials to outline why they felt it should be the state amphibian. The bill is expected to receive a Senate vote on Monday. DCED will begin accepting applications on February 1st for Act 13 grants paid for by natural gas drillers. Projects can include: Abandoned Mine Drainage Abatement and Treatment; Baseline Water Quality Data; Greenways, Trails and Recreation; Orphan or Abandoned Well Plugging; Watershed Restoration and Protection; Flood Mitigation and the Sewage Facilities Program. Applications will be accepted until May 31st, 2019. Eligible applicants with questions should call 717.787.6245. Municipalities, colleges and community groups have until February 7th to apply for state grants to boost safety and reduce the risk of violence. The Community Violence Prevention/Reduction grants are part of a program that the General Assembly included in the state budget to improve school safety and combat community violence. Eligible uses include mentoring services and intervention services for at-risk children and families; promoting communication between school entities and law enforcement; linking the community with local trauma support and behavioral health systems; and other programs designed to reduce community violence. The Pennsylvania Game Commission is recruiting the 32nd class of State Game Warden Cadets at its Ross Leffler School of Conservation in Harrisburg. Application period open until Feb. 23rd or when 1,000 applications received. The class will report for training in March 2020 and graduate in 2021. Salary range is $35,900 – $53,579. 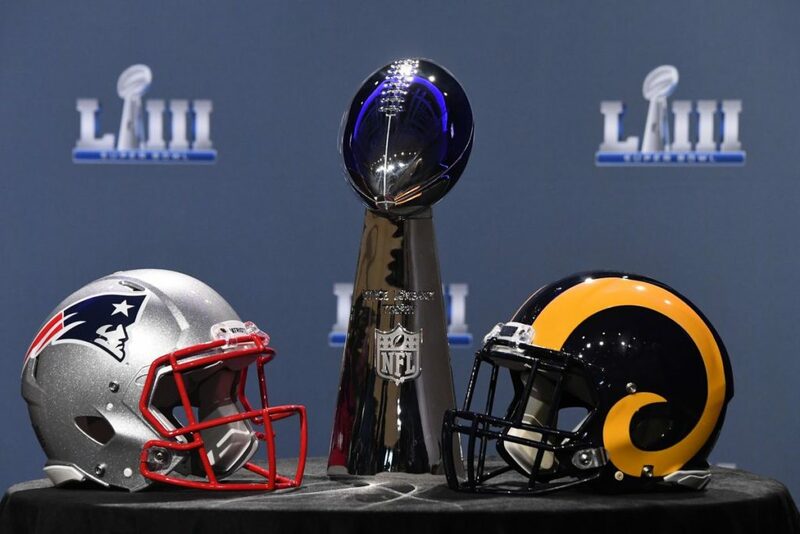 As the Super Bowl quickly approaches football fans are reminded that designated drivers are the best defense against the dangers of drunk driving. Super Bowl is a festive night in homes and bars across America, but if your night involves alcohol, plan for a sober ride home. We want to remind everyone that Fans Don’t Let Fans Drive Drunk. Remember: Fans Don’t Let Fans Drive Drunk. If someone you know has been drinking and tries to drive, take their keys and help them get home safely. Even if they make a fuss in the moment, they’ll thank you later. You know the rules—it’s illegal to drive drunk. Before you head out for the Super Bowl party, make a game plan that includes a sober driver—someone who will not drink at all, and will safely bring you home.